A simple saliva test could help to gauge, with unprecedented accuracy, a woman's risk of developing breast cancer during her lifetime, according to an international study published Jan. 15 involving researchers from Université Laval and the CHU de Québec-Université Laval Research Center. By combining a person's genetic profile obtained through a saliva sample with a statistical model that takes into account family history, hormonal factors and lifestyle habits, the researchers were able to estimate each woman's overall risk for breast cancer, paving the way for personalized screening protocols for the disease. "Many hundreds of researchers around the world pooled the DNA samples they had collected through their respective projects and conducted genomic analyses on 94,000 women who had had breast cancer and another 75,000 women who were part of a control group," explains one of the study's leaders, Jacques Simard, Canada Research Chair in Oncogenetics at Université Laval and researcher at the Genomics Center of the CHU de Québec-Université Laval Research Center. Through sophisticated statistical analyses, we developed a breast cancer risk score that includes 313 genetic variants and then validated it on nearly 220,000 women." Breast cancer screening in Québec and Canada is primarily conducted using mammography and generally targets women aged 50 to 69. Despite this prevention-based approach, however, many women at high risk for the disease slip through the cracks. The model developed by Professor Simard and his colleagues will contribute to a more personalized approach to breast cancer screening based on individual risk. "Using our model, it will be possible to predict each woman's individual risk and offer her a personalized screening protocol, regardless of her age," said the researcher. "All we will need is a single saliva sample collected from a woman when she reaches her early forties." A team spearheaded by Jacques Simard is currently working on a pre-implementation project for this model among 10,000 women in Québec and Ontario. "Our goal is to evaluate the acceptability, feasibility and efficiency of risk-based screening. We also want to study the organizational challenges involved in integrating personalized screening into our health care system, as well as the costs and anticipated benefits," said the researcher. Details of the breakthrough were published recently in Genetics in Medicine recently in The American Journal of Human Genetics. 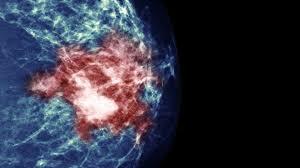 Researchers develop the most accurate risk-prediction model to date for breast cancer. Appl Rad Oncol.